Here you’ll find a selection of news and stories reflecting the activities and events happening within SJOG. Lisa Alcorn has joined SJOG after working at a national level as director of operations. 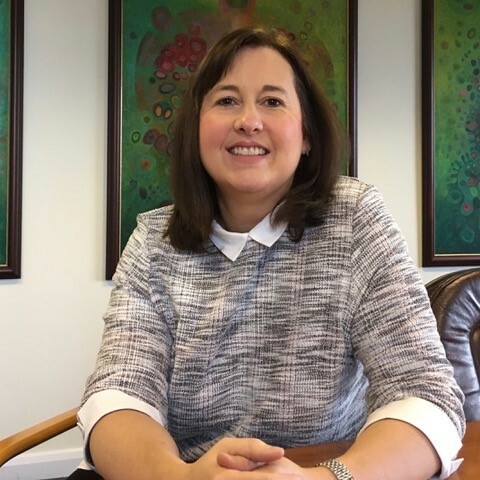 Lisa has over 25 years’ experience of working for charities and the private sector, specialising in autism spectrum conditions, learning disabilities and mental health services. Having been successful in receiving recognition of her contribution to the sector at the BILD International Leadership Awards in 2014 for Innovative Practice, Lisa also completed her Professional Doctorate in The National Integration of a Positive Behaviour Support Practice Framework for Autism Practitioners in 2017. Since then her doctoral framework was successful in achieving the National Learning Disabilities Award for PBS in 2018. Lisa said, “I am really excited to join the charity at this time as I can see great potential both in terms of the people we support and the people I will have the pleasure to work alongside. I am keen to introduce contemporary practices that not only positively impact on people’s lives but also assists in shaping the charity for the future”. Whilst national christmas jumper day took place on 14 December, SJOG had its own Christmas jumper day on Thursday 20 December. 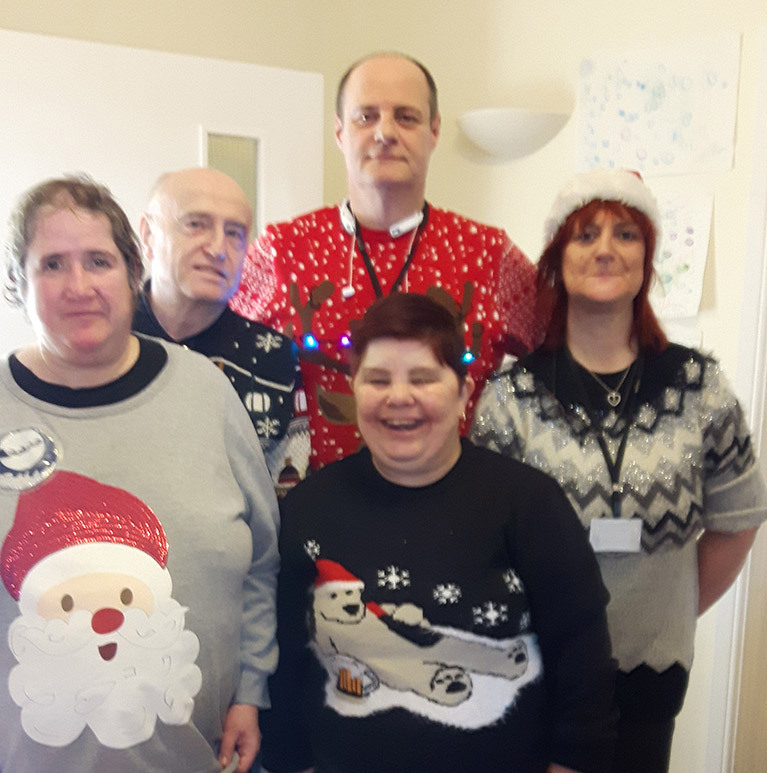 Many staff and people we support took to sporting very festive knitwear whilst celebrating at their local Christmas events, of which there were many up and down the UK. Photo shows our service based in Enfield. Prior to this she was european finance director for a global consultancy and training organisation. 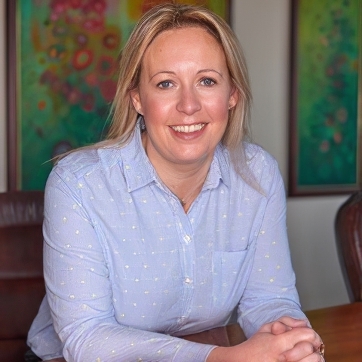 Leanne is a MBA qualified chartered accountant with broad financial and management experience gained through working across a wide range of sectors. Leanne has special interest and experience in change management programmes working to strengthen and futureproof organisations. These are all part of SJOG’s religious services working in partnership with other religious orders and congregations, which was founded to respond to the issues facing many religious orders today particular in relation to the implications of care standards legislation. Photos show the celebration at Henry Nihill House. Paul Bott has joined SJOG Hospitaller Services from Vista, the award winning sight loss charity, where he has been chief executive for the past 6 years. Paul was responsible for refocussing the charity and on delivering innovative growth. Paul was shortlisted for the national Charity Times award for rising chief executives in 2016 for his work at Vista. 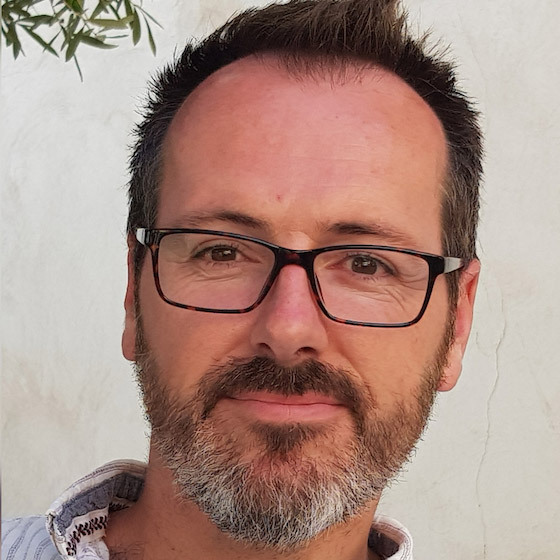 Paul has 24 years' experience of working for charities, and was previously operations director for the young person’s charity Catch22 and head of adult services at Scope. It was with much sadness that we learned of the death of Peter Flower at the age of 90. Peter had been supported by the Hospitaller Order and Hospitaller Services since he moved into Barvin Park on 20 May 1944. 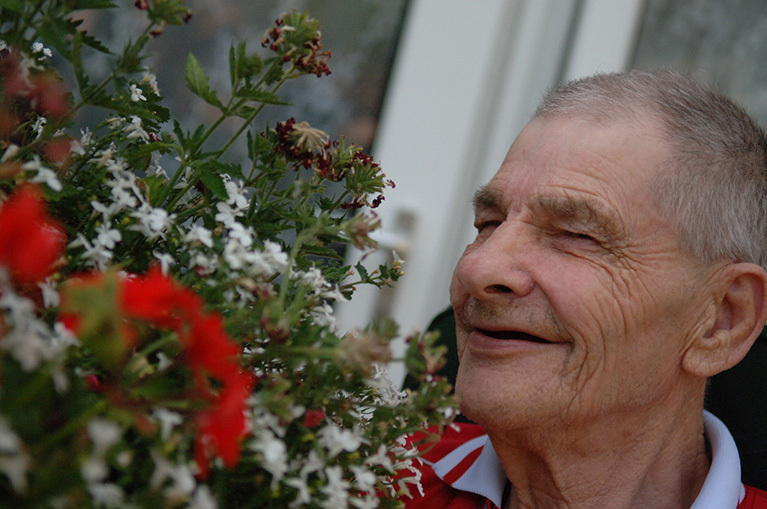 After the closure of Barvin in 1994, a move to enable people to live in their own homes, Peter was supported to live in his own flat in Hatfield. Amanda Ashdown, the service's manager, said, "We are delighted to have received this outstanding rating. 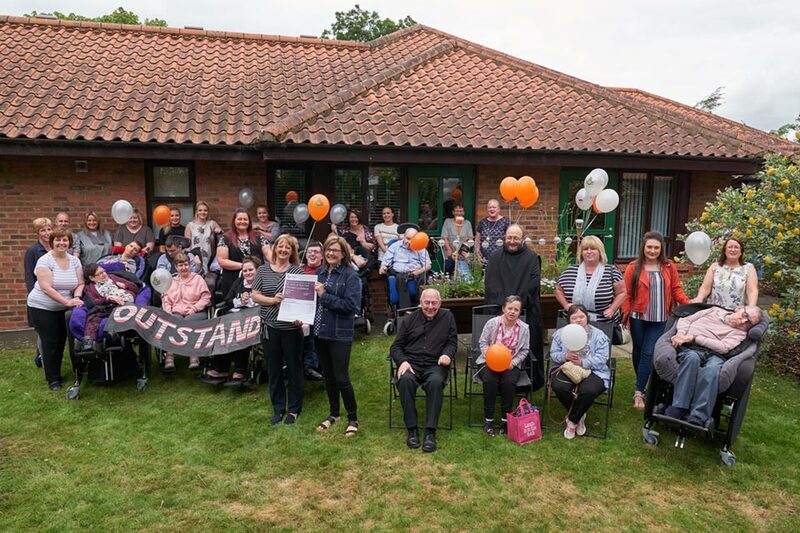 We have a great staff team who work very hard to ensure the people at Lindisfarne get the best possible care and support and we are so pleased to get this recognition. Some of the features of the inspection included how staff were exceptional in their caring approach to people and relatives, and people who inspectors spoke with told them the staff team were dedicated and wanted the best for people they were caring for. Debbie Westhead, Deputy Chief Inspector of Adult Social Care in the North said, "This is a service that provides excellent care. My inspectors commented on how committed the home was to help preserve the privacy and dignity of people who lived in the home. Everyone we spoke with praised the passion and commitment of the registered manager. 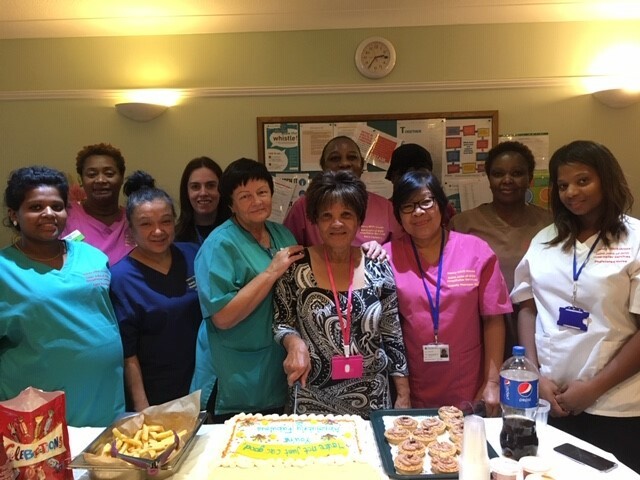 The manager and the team demonstrated strong person-centred values and were committed to providing a first class service. A final word from Craig who lives at Lindisfarne, "I'm so very proud of the staff team and we couldn't have done it without Amanda. I know that this is an excellent service but it is wonderful to see it in writing from CQC. I am overjoyed!" The service is home to thirteen people and is formed by three interlinking bungalows, each one decorated in a particular style to play a part in the Cinderella story. The planning of the event has taken months with all taking very active parts in making the final event something very special. 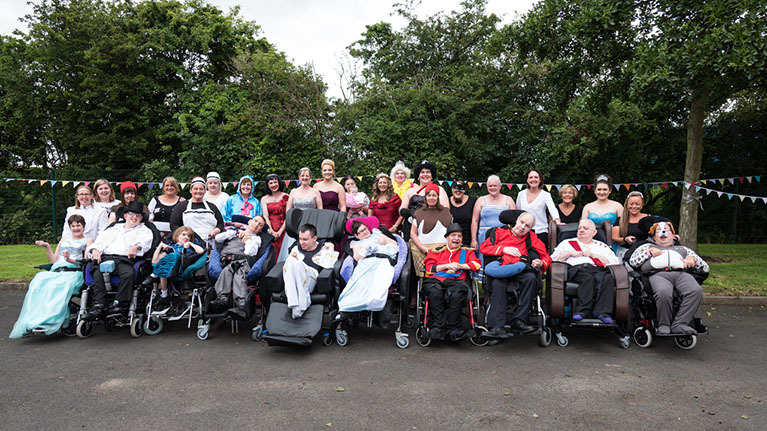 Family, friends, colleagues and people from the charity’s services further afield came together on the afternoon of Friday 7 July when, after days of rain, the sun shone. Barry said, ‘he was very proud and happy people had come to celebrate’. He also added living at Lindisfarne was ‘very good’. The service’s first manager Lesley Robinson (left) pictured with current manager, Amanda Ashdown. In April last year, Brother Michael Newman moved from the Brothers’ Community in London to the Brothers’ Community in Mzuzu in Malawi to begin work there to co-ordinate the formation programme for young Malawian Brothers. 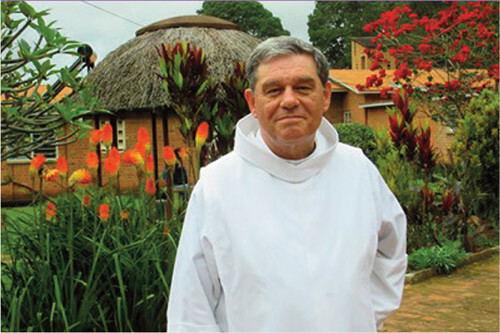 “It was a real surprise to be asked [by the Provincial], and also a great honour to serve the very poor in our Saint John of God Services in Malawi,” said Brother Michael. I have been here nine months now. I really can’t believe the time has gone – and quickly too. I try and take each day as it comes ‘One day at a time....sweet Jesus’ is a cute song, but a great message. The Community and Hospitaller Services will be celebrating our 20th anniversary of coming to Malawi. And we have much to reflect and celebrate, so much achieved in two decades! I’m glad and proud to be at a significant and crucial moment in the history of the Order in Malawi. By the end of 2015 we will have our psychiatric hospital nearly built in Lilongwe, and two years after that a second community house....all with new challenges and new opportunities. Eventually, and gradually the Malawian Brothers will return to their country and ready to play a key role in our Hospitaller Services in Mzuzu and Lilongwe...the nation’s capital. We have three candidates who will start their second year in February and six new energetic men will be coming to start their first year journey to become Brothers of Saint John of God. My role here is varied and as interesting as it is challenging! This is phase two...the first phase was the starting and build-up of the mental health services here in Mzuzu, the second phase is consolidation – building up a full inclusive Malawian administration including local Brothers. So my role is in Brothers training, part of the management team, a fully active board member and the Order’s representative to the authorities here....oh yes and the local prior too. I like the varied responsibilities and activities this throw up at me, and includes visiting our services and helping the very poor people with their various needs and wants. It keeps me busy, interested and motivated. Life is never dull. My sister is a keen fundraiser for my work with the very poor and her faithful gang of fundraisers including family raise money for my ‘good works’. Firstly, I love spending other people’s money!!! But it is wonderful to help the very poor folk with their daily living, houses and even jobs, and having links with home helps everyone keep the ‘one world, ‘one church, one family approach.....’ It’s a small world and wonderful that we can help one another! Thank goodness I keep well, that is so very important. I do get bitten by ‘mozzies’ but the medication is keeping me Malaria free. The diet is good and wholesome and we eat ‘local’ and that means local meat, veg, rice, coffee and tea and fruit. The mangoes are in season and the pineapples...and they are delicious. The big local supermarket is South African, and they stock some decent red wine which is keenly priced and helps keep the spirits high. People told me that Christmas in Malawi would be different....and they were right in one sense! The message and the spirit Christmas is the same everywhere in the world. It was wonderful feast and a time to celebrate ‘Emmanuel’. God with us! But it was so very different in many ways, the rains, the thunder and lightning, and then the glorious hot sunshine. We went to Vigil Mass locally and it was a lively three-hour celebration and we finished at just after 11pm – then the morning Mass at the cathedral at 7am.....visiting our services and the preparations for Christmas lunch (I was the cook). Our neighbour, the Bishop of Mzuzu, joined us and we had chicken, rice and a type of angel delight with fresh fruit....and a glass of decent red wine. It was a lively and happy Christmas lunch. I spoke to family and friends by email, phone and by Skype in between cuts in the electric power. It was good to see and hear everybody. We had the local Brother’s family join us for lunch on the Saturday and again, it was very relaxed. A five-year old boy became the focus of attention, lively – inquisitive and funny. We had a long chat about the figures in the crib, and by the end of the party...he knew all the figures, including a giraffe!? We had a lot of rain, and some violent thunder and lightning. The rain came too - it was much needed, and in the countryside folk were planting the maize and the tobacco plants hoping for a bumper harvest like last year. Even in the heavy rain, the fields were full of people planting their crops. I took our two Malawian scholastics (student Brothers) to the airport, so that they could continue their studies in Kenya. The two young brothers from Zambia stayed with us over the holiday, one has since returned to his nursing studies; the other one, Br Ephraim, is at home with his folks having a well earned holiday. He is a student physiotherapist and qualifies at the end of the year. I would like to go and visit him in Lusaka for his graduation, and bring him back to work in Mzuzu which everyone is excited about, including Ephraim. The road trip to Monze in Zambia was so very, very long. Br Samuel and I shared the driving the majority of which was rough road, but the scenery was spectacular. After 15 hours on the road we reached the Community in Monze. My last visit to Monze was in 1978, so I cannot remember much about the places I visited over 30 years ago, but it was good to visit the excellent services there. We brought back Br Kedrick and Ephraim, and the long journey back to Malawi from Lusaka was very tiring. Next time.. by plane or by bus.. but not driving! !